Present trend runs on the concept of voice-activated services by considering that the Google has released the Google Home. Google Home is the wireless speaker which is used to operate the TV to play the shows and music on YouTube, Netflix and other streaming services. The advantage of using this Google Home is you can activate the Netflix shows by giving command over voice like “Ok Google play songs” to Google Home. Then this automatically plays by recalling the words what you said. Everything is ok but how to play Netflix TV by using Google Home. First, you need to log in to the Netflix TV account with has been already using. Initially, install the apps of Google Home and Chrome cast in the device through mobile. Now open the Home app to visit the option devices. It detects the nearby devices available then make sure to connect. After that move to the app Google Home then click on settings. Here you find the button ‘more’ then select videos to play. Now again move to Netflix account then hit the link account available. 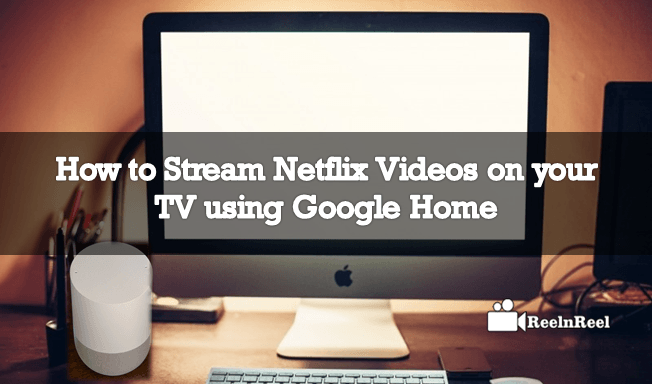 Then make sure to link up the Google Home with the Netflix account. Start saying “OK Google play Fuller House from Netflix” then immediately starts chorusing your sentences with a beautiful voice and plays what you said from Netflix. Now you can enjoy the shows and music without doing any physical work by giving voice commands to the Google Home device. It performs to rewind, playback, skip and pause options when you choose on of it. This Google Home can be used for ongoing parties by playing the music on it. Google Home is one of the best operatives which especially work over the voice. It provides more advantages like accessing Google photos and videos on TV. The combination of the world’s topmost streaming service Netflix and the hunting source Google Home will be the best option to get the unbreakable entertainment.